At last! The most exciting copyright day of the year has finally come: the Court of Justice of the European Union (CJEU) has just handed down its judgment in Levola Hengelo, C-310/17! 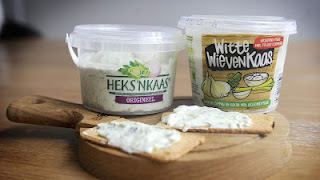 As readers know, this was a referral for a preliminary ruling from The Netherlands, asking whether copyright could vest in the taste of a spreadable cheese. In his Opinion [which remains unavailable in English] back in July [discussed here], Advocate General (AG) Wathelet had no doubts: the taste of a food product cannot enjoy copyright protection as a 'work'. While the concept of work is not defined at the level of EU legislation - including the InfoSoc Directive - this is something that should be regarded: (1) as an 'autonomous concept' of EU law, which should not be defined having regard to national laws; and (2) as a concept which should be interpreted in light of and in line with Article 2(1) of the Berne Convention. According to the AG, anything that: (a) cannot be perceived through hearing or sight, and (b) is not identifiable with sufficient precision and objectivity, in the sense clarified by the CJEU with regard to the graphic representation requirement in trade mark law (yes ....) in its landmark Sieckmann decision, may not be regarded as a copyright work in the sense prescribed by Berne. In today’s judgment, the Court makes clear that, in order to be protected by copyright under the Directive, the taste of a food product must be capable of being classified as a ‘work’ within the meaning of the Directive. Classification as a ‘work’ requires, first of all, that the subject matter concerned is an original intellectual creation. Secondly, there must be an ‘expression’ of that original intellectual creation. In accordance with the Agreement on Trade-Related Aspects of Intellectual Property Rights, which was adopted in the framework of the World Trade Organisation and to which the EU has acceded, and with the WIPO Copyright Treaty, to which the EU is a party, copyright protection may be granted to expressions, but not to ideas, procedures, methods of operation or mathematical concepts as such. Accordingly, for there to be a ‘work’ as referred to in the Directive, the subject matter protected by copyright must be expressed in a manner which makes it identifiable with sufficient precision and objectivity. A more detailed analysis will follow as soon as the judgment becomes available: stay tuned! Isn't it strange how the AG drew parallels to trade mark law? It's been clarified that smells can be trademarked, though only in rare cases.